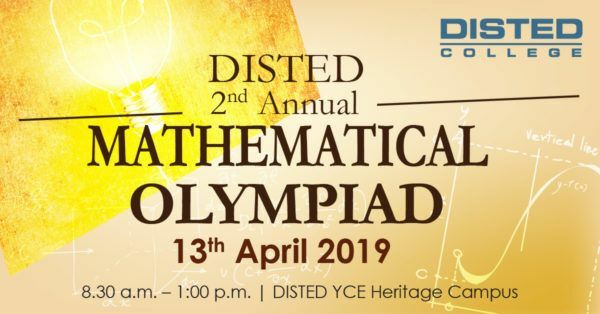 This year DISTED will again be hosting its annual signature events for secondary school students in April; namely the 2nd Annual Mathematical Olympiad and Science Olympiad, the all-time-favourite DISTED Culinary Challenge, the fun Psychology Workshop and the ever popular Creative Digital Workshop. These free-to-attend events will offer people the opportunity to visit us by providing a glimpse of college life. The School of Pre-U is pleased to invite all secondary students to join and unleash their maths ability and potential through the Mathematical Olympiad Contest. Winner of the individual category will be awarded with RM10,000 worth of DISTED scholarship; while the team category winner will be awarded with a RM20,000 DISTED scholarship. These scholarships may be utilised to enrol into any programmes at DISTED College. Event venue: School of Hospitality and Culinary Arts located at China Street Ghaut. The winner of this challenge will walk away with RM20, 000 worth of DISTED Scholarship, RM500 cash, a trophy and a challenge cup to be displayed in the college. These scholarships may be utilised to enrol into any programmes at DISTED College. More info please call Ms Susie Khoo #310. 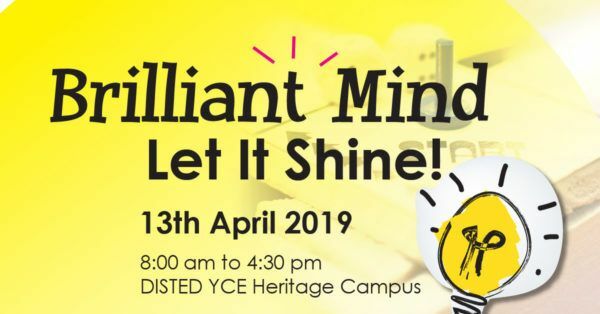 Next, The School of Psychology is delighted to organise the 2nd “Your Brilliant Mind, Let it Shine!” psychology workshop. This workshop allows secondary students to explore the real world of psychology and participate in the interactive activities which utilises the concepts of psychology. 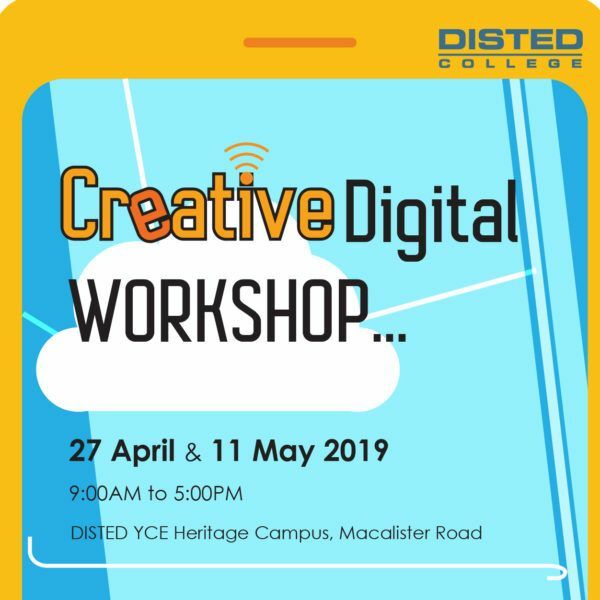 On 27 April, two more signature events will be concurrently taking place at DISTED YCE Heritage Campus. 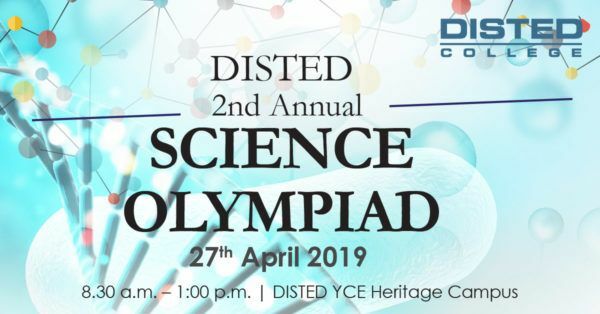 It is the time of the year again for DISTED School of Pre-U to welcome secondary school students to organise the 2nd DISTED Science Olympiad, an initiative that aims to identify talent and promote excellence in Science at the State and Regional level. A RM10,000 DISTED scholarship will be awarded for the winner of the individual category. 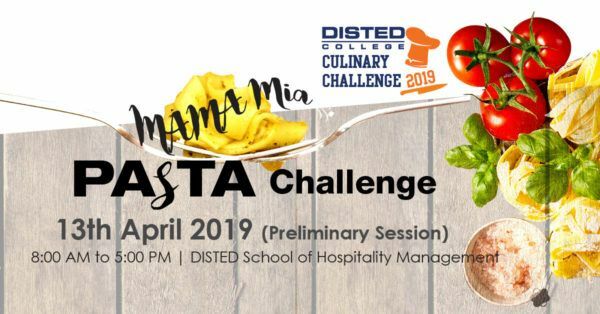 The winner of the team category will be rewarded with RM20,000 DISTED Scholarship which is applicable for any programme into any course enrolment at DISTED College. Another two signature events of 21st Century Young Entrepreneurs Challenge and MIC Drop! Conquering the Stage will be carried out in June.